#12 x 15mm Sealing Washer. 20 gauge hot-dip galvanized steel with bonded epdm rubber washer. 15mm (.590 Inch) OD x .245 inch ID metal washer with ~.180 Inch ID rubber washer. 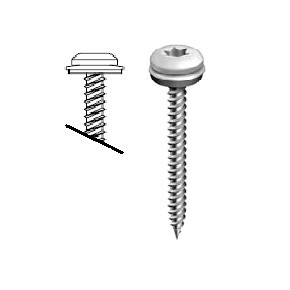 Fits #10 to #12 and 3/16 sized screws. Price/100.